Secret blockade of our solar system by "Blue Avians"
The ET side of things has gotten very interesting, as I revealed in the radio show I did with George Noory last Wednesday night. 100 spheres the size of either Neptune or Jupiter have entered our solar system in the last 2-3 years. There were many others the size of our Moon that came in between 1999 and 2001. The Pentagon and Cabal people got really excited about this at first because they thought these spheres were the return of their Anunnaki gods. However, the spheres remained cloaked with an advanced system that did not allow them to see inside, and did not respond to communications. The Cabal used an advanced weapon to fire on one of the Moon-sized ones in mid-December. The object lit up, becoming a bright red spot in the sky that people saw (significantly smaller than the Moon, since it was farther away) and redirected the beam back to the base it came from. This caused serious damage and some loss of life. Since that time we have had the no-fly zone around the earth and the quarantine around our solar system. No one who was already here is being allowed to leave — either from Earth or any of the “colonies,” as they are called. They cannot even get communications out. No one else appears to be able to get in either. The group that has appeared from the spheres is called the “Blue Avians.” As silly as this may sound, they are eight-foot-tall humanoids derived from avian life, with birdlike heads and bright indigo-blue feathers. They have more or less normal-looking hands and feet. The head is a synergy between bird and human features. There are other avian types out there as well. It is not common but it does occur. One of my insiders got pulled into a meeting that was very serious. We didn’t know if he was going to come out of it alive, or at least not without being heavily tortured and screamed at for what he had told me and what was leaked. Only later did we realize that the Blue Avians had personally requested him. He was guaranteed by them that he would not be harmed. They told him many things. One thing they felt was very important was that they have not had ANY contact or communications with the Cabal. One of the five main factions in the Space Program, named Solar Warden, is allied with them now, and they are working with the Alliance on earth, but never the Cabal. I had mistakenly said on Coast they had some contact with the Cabal and they corrected it. They actually gave me some intriguing personal information. The other main thing they said was that Cabal people were defecting over into the Alliance and altering the plans. The Cabal people are pushing for “instantaneous violence” to solve the problem. Apparently the Avians are now “putting on the brakes” and “slowing things down a bit,” as it was about to go really wild, really fast, from what they were saying. The key is that the Avians want us to move into a loving and peaceful world. They want this transition, similarly, to be as peaceful as possible. That’s as much as I know now. I do not for a minute believe the insider was lying to me. He was deeply shaken and profoundly moved by this experience. 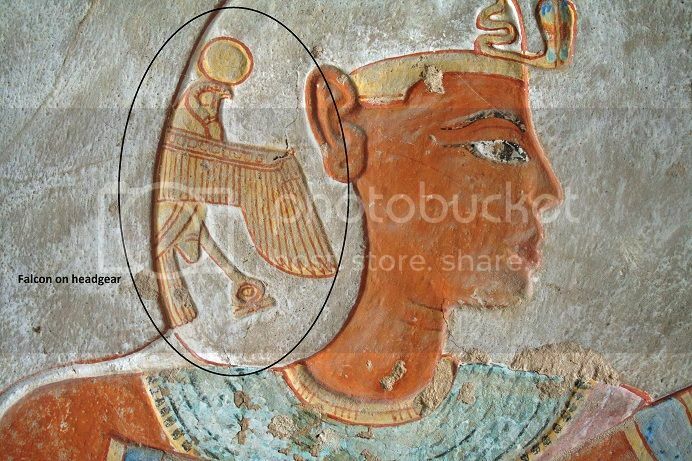 They also talk about the bird as a symbol of the “winged messenger” or angel. 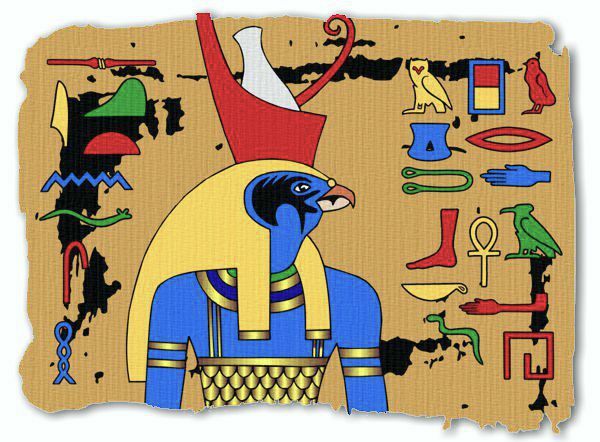 The Hopis have an engaging legend about being rescued by “bird people.” Then you have the very clear Egyptian paintings. Then you have the “Tengu,” or bird-men that were seen in Japan. When Luke met these people the last time, they all introduced themselves by name, and every name started with the same prefix, which sounded either like “Rey” or “Rawl,” from what he remembers. This was another compelling suggestion. I have had multiple insider confirmations now on the spheres coming in. This is of great concern to the Cabal. When people say shaming things, my response is “would you rather I not share this at all?” As weird as it is, and I totally get that it’s “high strangeness” to say the least, this is all coming from insiders who have absolutely proven their credibility. I do not know if we are ever going to actually see the Blue Avians. This group works behind the scenes. There is a huge “learning curve” for people to understand the scope and variety of ET life that is out there. However, if the Snowden documents contain tons of data on the Secret Space Program, then we may be in store for a wild ride. That would be the closest we would get to a confirmation that this data about the spheres is correct. My own intuitive abilities have validated that this is true information. This included yesterday putting it together and realizing this group was Ra, then being told “Go outside now” and there was a rainbow. Then later I walked, connected even more dots and there was a much bigger rainbow in a completely separate location. Synchronicities, dreams, et cetera… it’s all coming together. BTW, one of the things that has made the Cabal so upset is the Blue Avians have short-circuited them and have gone directly out and contacted the people. This can come in the form of a visible orb of light in the room. Most of the people getting this are being “downloaded” some sort of information that they do not consciously recall yet. Others are getting open communication. The weirdest thing about the Blue Avians, from the Space Program perspective, is they do not need any technology. If they want to go somewhere, they just appear there. This is exactly what Ra says they are like at their level. For this same reason, it seems clear that they could project themselves into whatever form they choose, and have chosen this form for its various symbolic characteristics. It’s going to come out anyway, so I will also say that the Blue Avians confirmed I was one of the people they have been in contact with. I think a great number of us have had some degree of “downloading” from these angelic beings already, whether we realize it or not. We knew Ra was one of two key groups managing Earth’s transformation, but I never expected they would make such a dramatic “in person” appearance at the end of the cycle like this. Funny how our brains work. I’m reading the above and at first look I read “Blue Angels”, then I caught myself. Winged humanoids, could this be the source of our winged angel archetype? I thank the Blue Avians for showing themselves as they are helping us to understand within our limited concept of our reality. Most of us won’t believe until we can see, touch smell, etc. I hope we can rise to this Epic occasion honourably! "This is clearly another example of the Blue Avians / Sphere Beings removing all offensive capabilities that the Cabal could have used to wipe us out on earth. 3/2: US Military Satellite Explodes Above Earth"
Since someone asked, the Blue Avians do not speak. They communicate telepathically while simultaneously holding up their right hand, palm forward, and doing very fast sign language that corresponds with what you hear in your mind. Luke did not understand the sign language but they obviously do. Only one hand was ever used. There is so much we can’t possibly know with what is most peoples’ frames of reference, but beings resembling birds wouldn’t be a problem for me to “get” – I read Ken Carey’s book and it was most inspiring. If you scroll down on the website there’s a very interesting section called Notes on the Esoteric of the Bird Tribes. Things are getting awesomely interesting. Who Are the Bird Tribes? The most profound understanding of ‘the Birdtribes’ involves a grasp of the holographic, fractal and unified nature of existence. To understand any particular phenomena in Creation, shamanic traditions advise us to ‘look to the form’ : what do the birds of our exquisite natural world – our greater self – offer the imagination? The exhilarating freedom of air-borne flight, the expanded vision afforded by great heights, an attunement to the rhythms of nature as they greet the dawn and eventide, and surely the peace and harmony of Song. As such, ‘the Birdtribes’ fundamentally represent a metaphor for the higher impulses, the wider visions and the upliftment and freedom of the spiritual life. Shifting the lens to the world of differentiation or individuation, the metaphor of ‘the Birdtribes’ is also evoked in reference to angels, starseeds, benevolent interdimensional entities, divine and timely messengers. RH Negative connection to some Earth humans? No one mentioned Alfred Hitchcock “The Birds"
Ha ha, yes lots of ridicule about the blue avians and planet size spheres cloaked in our solar system. 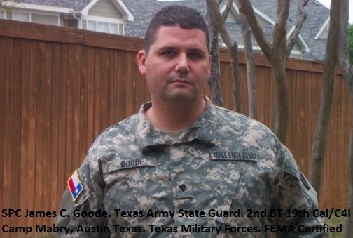 David Wilcox is pushing GoodET's info/ disinfo on this one. Is this the latest distraction or is there something more to it? I've just stored the idea for the time being and will see what, if anything transpires. To be honest I'be never really followed Wilcox. Rightly or wrongly! At first, I did not pay much attention to it. so I thought: Why not start a thread... Let's see if anything comes of it. 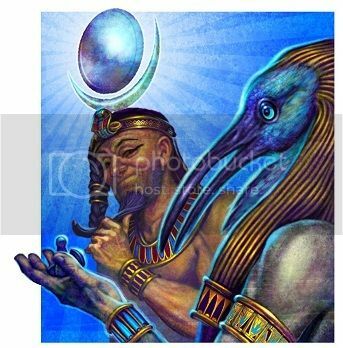 why are we associating orbs/spheres with avian/blue avians? unless it is assumed orbs/spheres are the vehicles they are traveling in. There are 5 beings, The "Orb Beings" that have been most associated with the "Spheres" and their "4 Allies". So far the "Blue Avians" have made themselves known. In an upcoming "Conference" there is going to be "Another" of the 4 Allied Beings making their first appearance. This is going to be a close cluster of 2 meetings of which one is going to be a "Conference" on the LOC while the other is going to be with "Contacted individuals" on an "Energetically Modified"/"Field Phased" Sphere. These beings are all higher Density beings that do not need a "Vessel" to travel or reside in. 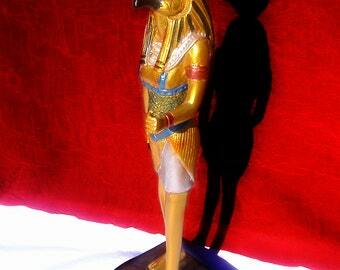 They manipulate the vibrational state of Matter and Energy "Consciously" or by thinking it so. This is also the way they "Travel". The existence or need for these "Spheres" are an unknown at this point as they too seem to be energetic and phase in and out of densities and our reality according to the "Will" of the other higher dimensional beings associated with them. I won't come to argue here or there with you G'' . You have NO RIGHT, absolutely no right to call others testimonies twisted . I have big heart , for you too as an experiencer . My data is on the web at least since 2006 ( or key to them to be precise ) and I don't engage in competition. You should dwell on your intellect and facts rather than on your dumbness . ETs are not possession of any country or military and you are not here to decide for others . It's shameful feeling to be around in this atmosphere entirely, you are shaming this community with your continuous slander of others , started by you , not by anyone else . Your statements about who you were can hardly be checked . I trust your experiences because I am more than familiar with information you present as 'something new' . But you are doing disservice to yourself and this community . Dumbness and brute force won't do the job . Spend few years yourself on checking resources available with mouth shut then maybe you get idea . There had been many good people before us and after us, with similar knowledge . If you think that truth can be monopolised by you , I'm telling you it can't . I wish you the best , kindest day .. I am not here asking you to convince me or prove me anything . The truth will prevail . You profess to be an "ET" not from Earth talking down to lowly Humans in your posts all the time in a holier than tho manner using your flowery language that usually ends off into nonsense that no one can make sense of. You talk here trying to sound high and mighty but your straight for the throat attacks against me on that and other threads (Private Threads that copies have been sent to me) typing out my full name and making statements that I am lying etc... those are all fighting words. You want people to blindly accept that you are here on Earth on a "Mission" like "Mork from Ork" yet you Poo Poo everything that is outside of your paradigm and reality bubble. You and others on that other Thread have gone out of their ways to either misrepresent or out right twist my words and information to then gang up and chastise it. These beings that are in contact with myself and many others are asking that we raise our vibrations and become more "Service to Others" and are not here to be our "Saviors"... This is obviously no easy task for us lowly humans to attain just as it is not for some ET here on earth on a "Mission" that most often explodes out acting more like the lowest vibration of Humans here on Earth than the higher evolved Alien that ended up here on a "Mission". You were upset about what I said on my site about the other forums founder, it was/is ALL true. LOOK into the details, these are only small threads for the rest of you to pull at to get to the bulk of the information that is available to the public. He never wanted or agreed to be Anonymous... Once I left the site he didn't want to out my name on the site but a whole lot of anonymails originating from his part of South America went out to a lot of places outing my full name and in one case I received an email of my home via google earth with a death threat. I do not have utilities or the lease in my name and the only people that knew my address were the founder, Administrator who lives in the area and visited my house and a Moderator from that Forum. Like I said, If I am totally off my rocker and or am a complete liar then the "Blue Avian Message" of "LOVE", "Consciously raising your Vibration and Becoming Service to Others" is a positive message and is going to hurt no one to actually try to attempt. If you want to attack and call it something else that is fine... I will not get into circular debates with you or other people where it is just a waste of time, energy and a lowering of vibration that is difficult enough to raise and work on without dealing with false allegations and attacks. You have your belief system that is obvious... I am fine with that. Stick to your reality bubble or at least do the research before lashing out all over the place in the manner you have been. 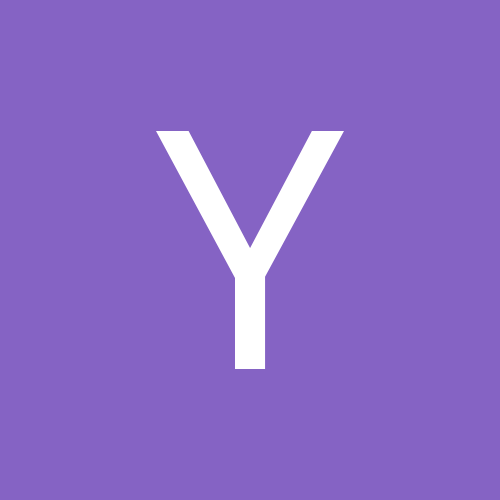 GoodETxSG_gravatar_150_15This post showed up today, and I felt it was a great question about the Blue Avians. This time I’m presenting the colors and bolding [almost exactly] as it is in the post. Some of GoodETxSG’s (Corey’s) replies are within the question text area. [Q] Curious if you know anything about the makeup and background of our Blue Avian beings. Do they have emotional, mental and physical “bodies” similar to ours? 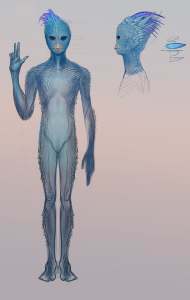 Is there physical appearance (blue and avian-like) their “natural” form or is that how it translates in our dimension and density and/or does it change depending on who they are interfacing with? Do we know anything about their lineage? Did they originate in this solar system or are they a “future” version of an currently existing specie? When I think of them they inspire ideas of the “TARDIS” – LOL! I know that may sound quirky but if you know of Doctor Who then you may get the correlation to the blue box and its transdimentional, transpacial, timeless and chameleon-like qualities. I’m not sure if this is to come in the DW vids or if you even know this info, however, I appreciate your entertaining the questions. [GoodETxSG] Thank you for the questions. The more precise the questions the better and more precise I can respond. I have been asked to do the Q and A on Forums until this firmly goes to the next level at some point. I am doing what is asked of me no matter what certain individuals think of me or my motives. I will continue to follow this path. Experiencing and Seeing the things I am I am compelled to… Time will tell if this is and exercise in futility… I am following orders as well as my heart. I have not left my own discernment out of the equation either. Keep using your own discernment and move forward in your journey… May our paths all cross in a positive and loving way in the near future. “[...] Wilcock reported that around 100 enormous spherical ships around the size of Neptune have recently come into our solar system. ... with fewer being in the Neptune to Jupiter Sized Categories. THE SPHERE BEINGS AND THEIR ALLIES HAVE REFUSED TO SPEAK TO OR EVEN ACKNOWLEDGE COMMUNICATIONS FROM THE CABAL OR TO ANY OTHER ET RACE IN THE SOL SYSTEM! note: the echo in Adona's voice at the 17:17 minute mark - is only about 40 seconds long. note 2: at the 1:38:28 mark - we begin an in-depth examination & discussion regarding the various topics recently focused on - by "GoodETxSG/Corey". Chemtrails are another part of this mental stagnation program pushed by the Cabal, as they literally disrupt the coherent energy streaming in from the Sun, which per the Law of One quote above has been increasing in intensity since 1936. In other words this is the perfect way for the Blue Avians, or the brothers and sisters of sorrow, who are morally culpable for what has happened on earth, to 'heal their karma' while also offering help to us in a service to others modality. This is a plan of great wisdom as it does not rob us of our own paths of personal evolution; a 'win win scenario'. In one comment on Dr. Salla's post on our blog, one person was wondering why they didn't come and help us sooner; a type of cosmic rescue. At a fundamental level the Cabal's power is maintained by our acquiescence, and as such if we fail to take the corrective action to stop the madness, we won't have grown as a result, and ascension would be impossible. 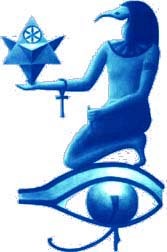 As such the Blue Avians will provide a 'mercey dispensation' diffusing the energies and slowly increasing them in addition to forcing the Cabal to disclose the truth, and create enough 'pain' in society (implosion of the financial system) to help break the inertia of past choice which much of humanity is presently stuck in. Now that I have provided a some of the scientific evidence for what Corey is discussing, I will offer some commentary on other portions of this update. Corey mentions that the Blue Avians chose Solar Warden and other groups because "they had made a conscious decision to bring the end of the control and slavery of Earth." This simple choice was the stopping of past inertia or forgiveness healing karma, and was all that was needed to provide a venue for their assistance. The work is far from complete, but now the path of growth has been chosen. It is in contrast to a victim mind set which does not conceive of any personal action being taken to end the thing they feel victimized about. This is a choice of bravery as well, swinging the pendulum from fear and isolation to personal empowerment and co-creation. Hence Corey's further statement: "The SSP Alliance had decided that it was time to give every Human on the planet access to their full and true history, suppressed technologies that would lengthen and enhance their lives as well as collapse the world Financial Debt Slave Systems (AKA Babylonian Money Magic Slave System). This put the SSP Alliance in a greater percentage “Service To Others” category than any other group in our Sol System that was made up of Earth Humans fighting for the freedom of Earth Humans. "[Corey's Answer Part 2] The Sphere Alliance happened to choose the SSP Alliance (That was not just the Solar Warden Group) because they had made a conscious decision to bring the end of the control and slavery of Earth Humans by “Trickster Gods” who were custodian aliens and their worshipers/followers whom we have lumped under an umbrella name such as “The Cabal”/”Illuminati”. The SSP Alliance had decided that it was time to give every Human on the planet access to their full and true history, suppressed technologies that would lengthen and enhance their lives as well as collapse the world Financial Debt Slave Systems (AKA Babylonian Money Magic Slave System). This put the SSP Alliance in a greater percentage “Service To Others” category than any other group in our Sol System that was made up of Earth Humans fighting for the freedom of Earth Humans. They definitely had their drawbacks being warriors who were looking to use violence to obtain the desired freedom. The Sphere Alliance is a nonviolent group and there has been quite a lot of adjustments for the SSP Alliance to make (as well as some mistakes) in the process of developing a workable partnership with a group of 6th through 9th Density Beings that have a completely different way of doing things. (This makes no sense to me. and have been deceived about so many things? Corey mentions that the Alliance, or the 'good guys' are not a totally unified group. Essentially various groups have realized that the madness needs to end, and have their own level of knowledge and wisdom available to achieve that end. A good example of this are people just becoming aware of the Cabal and Illuminati groups, who usually want to 'string up the bad guys' as a way of solving the problem. The core factor behind why the Cabal has maintained its power is humanity's ignorance as a whole. I hope Corey is right, he's articulate and puts forward plausible arguments. As usual it is very difficult for the average person to verify or see evidence of real change on the ground. People just re-elected David Cabal Cameron which suggests people are still not waking up, although mind control technology may well have played a role. We have planet size objects located around the Solar System which are conveniently cloaked, why not let amateur astronomers see them, hmm, oh yeah, prime directive non interference. Whilst I have no doubt various battles and disputes are going on behind the scenes change can only be measured by how many people are awakened and challenging the status quo. Perhaps a change in the rhetoric from our political and religious leaders, perhaps some exotic technologies being released, perhaps peadaphilia networks being exposed, illuminati / cabal arrests, cessation of chemtrailing, ending of false flag events and wars and so on. By contrast, Omniverse believes Corey is highly mind controlled and therefore most is likely psy-ops where we sit back doing nothing while we wait for saviours and the Alliance to win the wars. Time will tell. Hopefully we're not sitting here in a years time still wishing and hoping the Cabal away. At 13+ minutes in, this video talks about Birdmen who taught things to ancient people. Birdman motifs all around the world huh? Angels with wings? Also Fishmen of the Dogon? Just a piece of information as we consider these depictions and this video. "The Lost Book of Enki" of the Sumerian Tablets talks about Annunakis spaceship pilots wearing uniforms or suits with wings attached and bird like helmets. It's not clear if they were "uniforms" as in military, or just suits needed to fly. And, when they first came here, they had to splash down into seas or lakes. When they came ashore, they wore suits designed like fish. Then they improved their crafts, and began landing on land, but up high in mountains and on top of flat raised structures, some of which, I think are being mistaken for "pyramids". I also think Nazca was a landing spot. The top of a chunk of mountain range is sheared off? If you're entertaining the ancient alien idea, and are interested in ancient myths and legends, You need to check out The Lost Book of Enki. You should at least know what's there. You don't have to believe it, but you should at least know what it tells us. But, I'm telling you, this entire t.v. series validates the tablets. And the tablets provide compelling answers to the questions raised on this show and in your mind. In fact, Enki states that he dictated the book so that someday humanity would find it, and know our past. the various types of beings Mark has communicated with in our Universe including his knowledge of millions of “non-physical’s” [both having “form” & "non-form"] of higher dimensional life; original Earth as a higher dimensional 12D world as the “Jewel of the Universe”, how & why it became a 3D, dense, organic world; the topic of who we are in terms of physical beings as well as literal , truly "spirit" based beings, why we are here at this time in Earth's history & for what purpose; and what people can do for themselves - if they so choose to - to assist humanity to raise it to a new level of consciousness, where this is all leading and more. Solar System, SSP, ICC, Major Military Defense Contractors, 900 Different ET's, Trade Setup Between Them, Money Stolen From The People, Awakening Process, Blue Avian Race, Secret Space Program, illuminati Criminals, False Flags, Energetic Waves Coming In, High Vibration Hitting The Planet, End Times Madness, People Being Triggered, Things Will Get Worse Before They Get Better, Giant Spires Came Into Our Solar System, NASA Feed, 2012, Solar Warden, Financial System Collapse, Prime Directive, We Need To Create The Change.